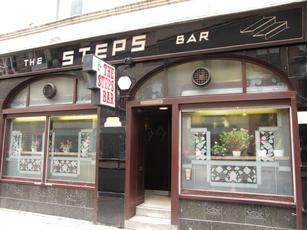 No ale but a must visit for pub fans in Glasgow. 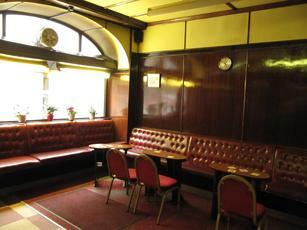 The impressive period décor and wooden features inside give this pub a stylish retro feel, almost like a cruise liner! You have to see it. I will certainly go again next time I'm in town. A must visit or anyone who appreciates pub history. Unspoilt & unchanged for decades. Real Ale non existent, so just stay for the one beer as I did. Stumbled upon this timewarp by complete chance yesterday. And a timewarp it most certainly is. Completely unspoilt small, low-ceilinged pub with 1930s style woodpanelled interior, lino tiles on the floor, long rounded wooden bar with a pelmet lighting feature continuing the theme. Small fixed tables opposite the bar with bench seating behind. Fluorescent lighting of a vintage type in the window bays; look out for the Tennents "T" design on the panes themselves. Beerwise, there is no real ale, only Tennents lager and special plus a few other keg beers, a fair spirits range and soft drinks etc. The storage area behind the bar itself is also a feature worth looking at. Pub attracts middle aged to senior clientele in the main but I did notice one or two lads in their 30s coming out on Saturday evening. I had half a Tennents lager here yesterday and whilst I don't claim to be any kind of expert on lager I found it perfectly enjoyable with a fresh clean hoppy taste. 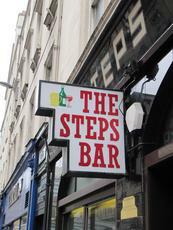 It's not a "tourist" pub, but if you are looking to capture the flavour of Glasgow's drinking past and willing to enjoy the interior over a pint of Tennents then you shouldn't miss this place. If you are looking for loud music and a boisterous atmosphere then your requirements are best served elsewhere (i.e. Blackfriars).